Bring your hair back to its glossiest, healthiest prime. This rejuvenating cleanser combines centuries-old healing oils with a revolutionary bio-restorative complex to balance the scalp and reinforce the inner strength of each strand. Protective natural extracts defend hair against future damage from UV rays, aging, and environmental stress for youthful hair, now and forever. Lather, indulge, and rinse thoroughly. Repeat if necessary. Gentle enough for daily use. AMAZING shampoo+conditioner along with OUTSTANDING CUSTOMER SERVICE! I received a sample of this shampoo & conditioner from Beautylish. I could not believe the difference it made after just ONE application! I have very dry hair, so this result was a real gift! My hair felt soft and flexible again, with incredible shine. Naturally, I immediately ordered the shampoo and conditioner. I love it so much I ordered the 1L size in case it might sell out! 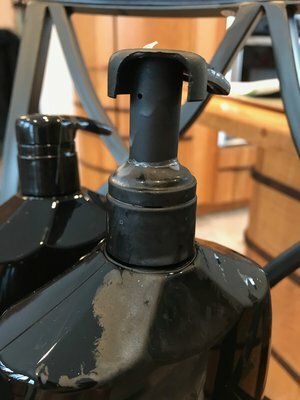 The other and equally great part of this story is, when my order arrived, the pump cap on the shampoo had been damaged during shipping, making it impossible to use, plus a substantial amount had leaked. I wrote to Beautylish and explained what had occurred. My email was answered by the next morning with a concerned and caring attitude and I received a new bottle of the shampoo, in the 1L size within a few days! I don't believe I've ever had such a prompt and friendly customer service experience. I sincerely mean that. Beautylish is an exemplary example of what has been (completely) missing, in not only customer service but the overall experience of shopping online, or even at a location. Other companies would be well advised to follow their example. For anyone suspecting that I was paid, or given free product for writing this comment, I was absolutely NOT. I would give 10 stars if I could! Beautylish, thank you! You have a faithful customer in me from now on! I received a sample packet of shampoo and conditioner with my order. Tried it and really was impressed with the results. Most shampoos state that they will give you shiny hair but this actually did. Usually after a few times using a brand they seem to lose there appeal, which is why I have a closet full of high end hair products. 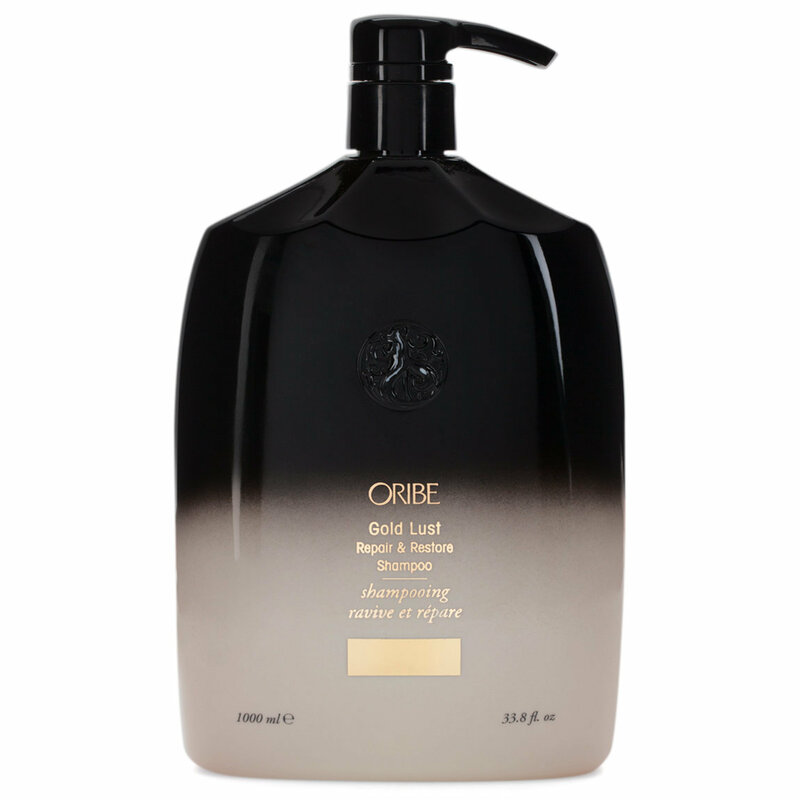 I was able to get three washes out of the packet that was sent, I have short blond hair; and was still impressed by the high shine, which is hard to archive on blond hair so, I order the smaller size of shampoo and conditioner to see how that goes. 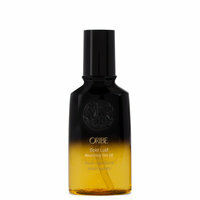 As I said, I have a closet full of unused high end hair products but since I am using the texturizing spray from Oribe for years now, this looks like a winner. I am really loving the beautylist site and getting sample allows one to experience products without making a commitment if they do not work. I hate sending things back. The site is very informative, love the reviews, love the variety of products. Simple and easy. I received this & the Gold Lust Repair & Restore Conditioner from Beauthylish after speaking to a wonderful customer service representative on what type of product I needed for my hair. She was spot on !! 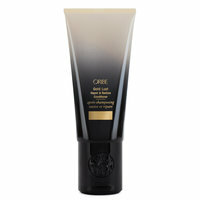 After the 1st use on my normally dry, frizzy, thin hair felt so Soft, Shinny & healthy. It didn't strip or dry out my hair at all. I am so Happy I tried this Brand, finally something that brings life back to my hair. I have thin very curly hair (think Latina shirley temple) and, while the shampoo and conditioner made my hair extra soft, it took all the bounce out of it. The shampoo seemed to dry out my hair which then needed to be saved by the matching conditioner. It was kind of weird since it's supposed to be fairly moisturizing, but I'd only used one pump of shampoo and I had to be quick about rinsing out or it would just leave me rather dried out. My hair seemed less bouncy and quite flat and lifeless like it disrupted my curl pattern. 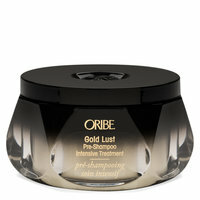 It's a smoothing and restoring line but it's like smoothing out all of the texture of my hair. Some may be looking for that but my kind of hair needs something different. I think if you have straight or slightly wavy hair you might like this but my fellow curly Qs might want to think twice. Giving two stars: one for the softness/scent and one for the slightly decreased amount of frizz. Unfortunately, this one is not for me, which is kind of a bummer because I really wanted to love it. That's why I sprung for the big bottle. Got a sample of this and the conditioner and I really liked what it did to my fine straight no body hair. Even got compliments on my hair, which isn't usual for me. So I bought the smallest size shampoo and conditioner available to make sure it wasn't just a one time fluke, and it also made my hair looked good the 2nd time I've used it. IAwesome stuff for me. So far, so so good! I bought both the shampoo and conditioner to try out before forking out $$ for the big bottle. I must say it's been 2 days since I used this and I have been complimented and asked what perfume I'm wearing... It's my hair! I have NEVER seen a shampoo and conditioner series give me results like this one in just ONE application. I have used tons of high end brands and this was in a whole other league. I recieved this as a sample but trust and believe, once my current shampoo and conditioner bottles are up I will be ordering this. My hair was so amazingly soft, clean and shinny. It lathered well and I don’t need to worry about sulfates or buying color safe shampoos anymore. Not to mention the smell is absolutely devine in my opinion. To top it all off with the beautiful packaging? Oh I am completely sold. I received a sample duo with my order and was pleasantly surprised to see my hair so shiny. All my friends were complimenting me asking if I went to the hair salon. 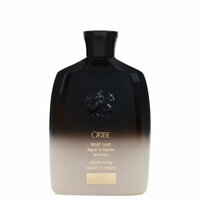 The fragrance is divine and I can't help but flip my hair around just to get a whiff. I would buy this just for the scent :) If you're looking for something that will give you smooth and hydrated hair, I highly recommend this product. I don't particularly have damaged hair, never dyed, bleached, and barely use heat on it. Yet, I still noticed a difference from what it usually looks like. It just revived its dull/ordinary appearance. Got a sample of this and the conditioner made a h8ge difference in one wash. Smells beautiful but the smell is strong, perfume type smell. But I like that. My hair looks so shiny and smooth. I can't imagine what it would look like if I had a full size of this. My dead bleached ends even look revitalized.